Not only can you save money on a reliable used car with reasonable financing with Auto Action, the premier Phoenix car dealer, learn how you can save on transportation expenses too. If you’re someone who commutes or has a long, traffic-filled drive to work, the expenses of owning a vehicle will add up. There are the obvious things like gas, insurance, and, of course, the actual cost of the car. But what are other vehicle expenses that you have not considered? The price of gas often fluctuates depending on the time of year and other factors. 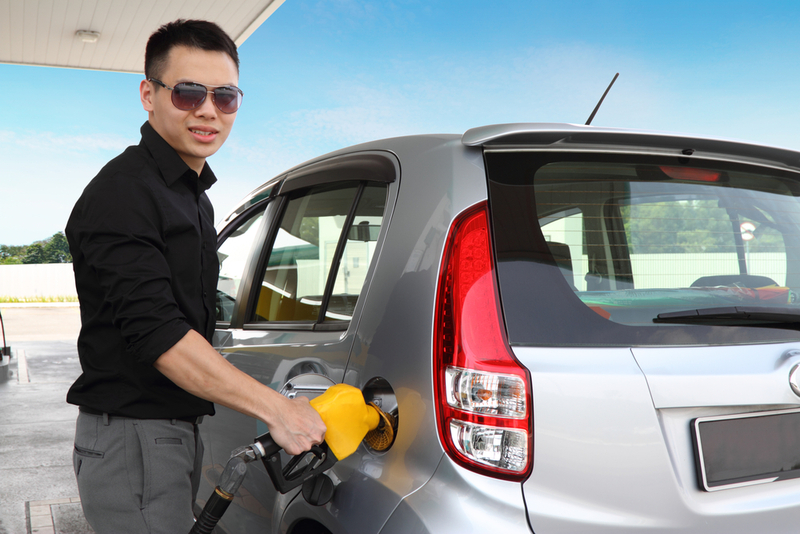 But taking fuel into consideration when you purchase your vehicle can help you save money in the long run. According to AAA, the average driver spends nearly $1,700 per year on gas, which accounts for 20% of their overall vehicle expenses. Calculate how many miles you drive on average and compare that with any vehicle’s MPG (miles per gallon) to determine an approximate monthly gas expense for your vehicle. The more miles you put on your car, the more wear and tear on your vehicle. Whether it’s your brakes, brake pads, suspension, or needing a vehicle alignment you will need to account for ongoing, regular vehicle maintenance. If you want to be truly proactive, you should also account for annual or semiannual vehicle inspections in your vehicle expenses. Depending on how often you drive, you may need an oil change every two or three months. Regular oil changes will keep your vehicle’s engine running in tip-top shape. Skipping or prolonging an oil change could actually end up costing you more money with the potential of facing serious issues with your engine resulting in hefty costs to fix it, or replace your vehicle altogether. Over the course of owning your vehicle it’s likely you’ll need to replace the tires. Of course, regular tire rotations will certainly help keep the wear and tear on your tires at bay for a while which will help you save money. However, when it comes time to purchase brand new tires for your vehicle, you may want to consider how often you drive. The difference will be if decide you are fine with purchasing the basic generic tired or top of the line performance tires. Auto Action understands the expenses of keeping your car up to date. We’re here to make it a bit more feasible for you! When you purchase a vehicle at one of our seven convenient Arizona locations we offer your our AAAdvantage Package which includes a warranty, free oil changes, anti-theft protection, and total loss protection. We want our customers to rest assured that they are purchasing a safe and reliable vehicle. How can Auto Action, your local Phoenix car dealer, help you save money on your vehicle expenses? No matter if you prefer a sleek, speedy car, a rugged truck, or are looking for something to fit the whole family, the most important part of your transportation expenses is a reliable vehicle. At Auto Action, the experts for cars and credit, our Phoenix car dealers will work with you to fit you with a used vehicle that will suit your lifestyle and offer you excellent financing options and loans. Even if you have bad credit, or no credit at all,we will work with you! Our buy here pay here option cuts out the middleman and gives you the most cost-effective plan for the long run. Plus, we offer bad credit auto loans if you’re in a rough spot. Find a vehicle that fits your budget and lifestyle by searching our inventory or speaking with a Phoenix car dealer at one of our Auto Action dealership locations.